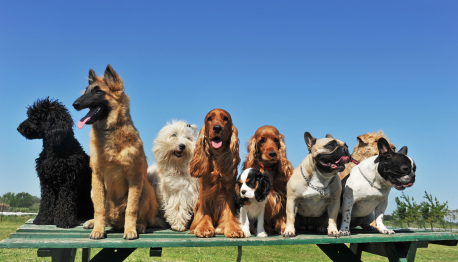 An Bord Pleanala has granted retention planning permission for boarding kennels in Bree. Wexford County Council granted retention permission for the kennels at Ballybrennan, Bree to William and Breda Kennedy on July 29. Attached to the planning permission were six conditions one of which limited noise while the second stipulated that between 9pm and 8am all doors, hatches and windows to the kennels are closed to keep the dogs in the building. The structure consists of four separate kennels with a roofed area with and external roofless area. There are also two separate outdoor areas attached to the kennels. However an appeal against the decision has been lodged with An Bord Pleanala by Brian Kennedy also of Ballybrennan, Bree. The grounds for the appeal relate to noise levels and how it has an impact on his wife’s health, disposal of waste, noise pollution and nobody to enforce the conditions of the planning permission. An Bord Pleanala found that the kennels are small in size and have no significant impact on the adjoining areas. He went on to say he was ‘satisfied that based on the small scale of the activity, the extent of structures and boundary treatment on site and its proximity relative to adjoining properties and subject to conditions that the proposed development proposed development will not unduly impact on the amenities of the area’. An Bord Pleanala granted permission for the kennels subject to a number of conditions including limiting the dogs housed at any one time to four, keeping the dogs indoors between 8pm and 8am and limiting noise.